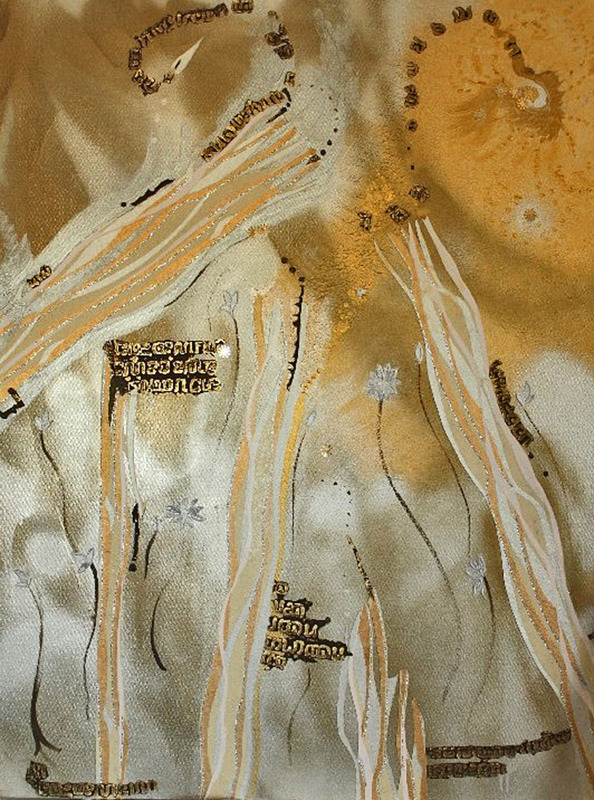 The gold and silver air brushed swirls and the paper shapes in this acrylic piece has many levels of meaning. It attempts to entice viewers to question assumptions about what is real and how we construct reality. It allows them to follow their own thinking and to question their attachment to seemingly recognizable images and examine their value.This effect is enhanced by the thin glittery lines that strengthen the movement of the powerful directional lighter shapes pulling everything upwards to the light.